The Constable Memorial Hall, Gandish Road, East Bergholt, Suffolk CO7 6TP commencing at 7.45 pm. President’s Opening Remarks – Sandra Stevens. Minutes of the last AGM held on 25th January 2018. Chairman’s Report – Bill Squires. General Secretary’s Report – Brian Boyes. Show Secretary’s Report – Peter Stevens. Publicity Officer’s Report – Dave Rafis. 13 Election of Officers for 2018. Programme for 2019? / Monthly Bird Competition? / Ideas for the Future? / Aviary Visit? Tea / Coffee Rota and Raffle Donations. We have some proposals. Please can we listen to all proposals before we take a vote on it. Proposed by Brian J Boyes. Verbal report – Sandra welcomed the members. She said that the club had had a very good year and had staged 2 excellent shows. With most members assisting with the staging and show. The club’s finances were sound especially after the purchase of new staging. Sandra thanked John, Sue Graham and George for their efforts this year. Sandra stated that the attendance of members during the year had dropped. Suggestions were invited as to how members could be encouraged to attend more regularly. Bill and Brian were thanked for their assistance in the loading and unloading of the seed distributed to members. George Mcmillan then stood in as the temporary chairman. Proposed correct by Peter Stevens Seconded by Bill Squires. Unfortunately, I am unable to be with you this evening; I am sitting in a theatre with friends enjoying the repartee of a good comedian. 2017 was industrious for the club, we embarked on delivering an additional show, The LEA Specialist and Rare not happy with just delivering an admirable show, and we endeavored to enhance the breeder and exhibitor experience by providing an afternoon seminar and question session. This achievement has to be credited to our dedicated team of members, which work tirelessly to deliver not just this event, but also all the social events we hold over the year. Our thanks have to be extended to our friends from the hobby and other clubs that continue to support Ipswich. 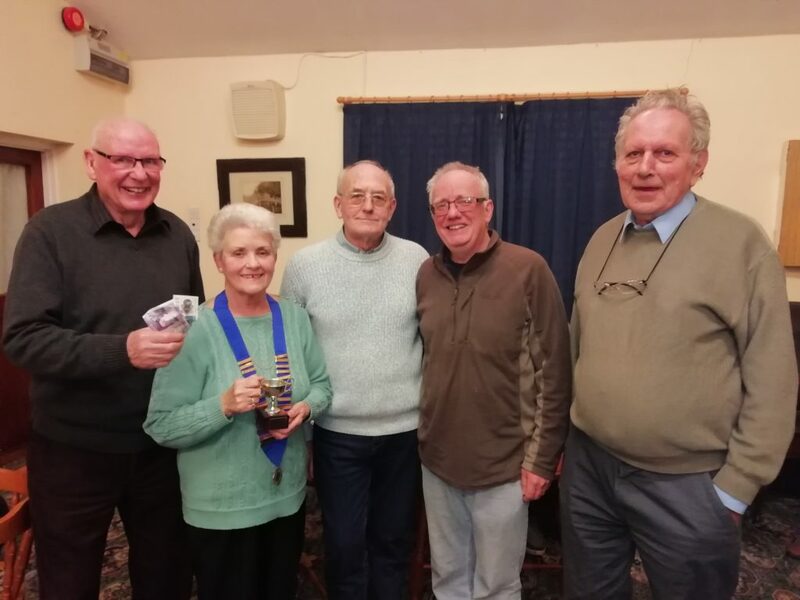 Our other events were equally successful and continue to provide our members with a varied array of social events, that they and their families can enjoy. The visit to tropical wings was a nice relaxed day out a last chance to see the collection before the venue closed later in the year. Our B.B.Q was a much a success as always, and we have to thank Sandra and Peter for being the main organiser’s of this event. This year we have arranged what I believe to be a good programme of events and we have tried to encompass all our members’ interests. It is time I feel to step down as your chairperson, I have a busy year planned with work and home commitments, and knowing that last year I struggled at times to keep a focus on the club and its affairs. I wish my successor all the best and hope they, with such a loyal band of members, as I have found can continue to develop and enhance the club. I will not be too far away, and intend to keep working hard from the side lines. My Sincere thanks to all the members for their positive input to the club and long may this continue. This is the end of my first year as General Secretary. And only my second year as a member I have had no previous experience of any club positions. Last year I had a very bad season with over 80% French moulters of which most had a fatal conclusion. This year I started breeding in October and so far only one FM out of 75 chicks. I doubt that I would have continued into a further year had I had the same experience as last year. The French moult survey that I created and distributed has been very disappointing with only 3 returns from over 30 printed out and available to complete on the web site . On that basis I have suspended any further participation. Last year we had to my knowledge seven new members that had joined the club, these do not include those persons that joined for the show. 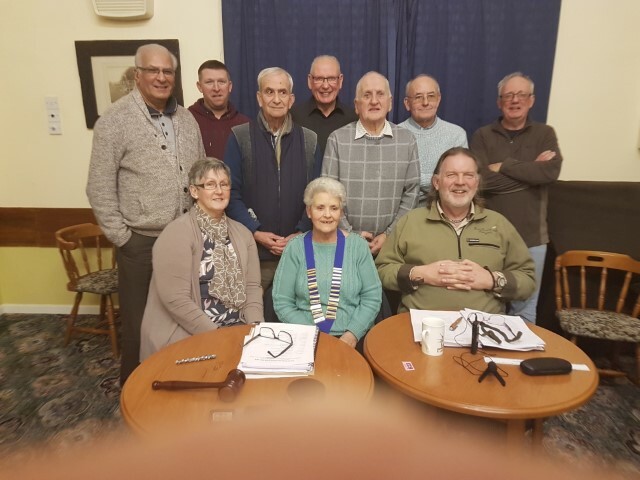 The club made a number of acquisitions which included a decent wireless printer, Dictaphone recording equipment and wireless microphones for the sound system. I believe that my best contribution to the club has been the new interactive club web site. For little cost we now have a site that is available to view from all round the world. The site is updated every month after our meeting with pictures and details of the meetings. I have visited some members at their homes to take pictures of their setups. I still have a way to go to visit all the members but hope to by the end of this year. I do not make monthly minutes as I see no need for them in this modern world. All the available details are clearly to be seen on the site and readily available to all those members who have access to the internet. Regular updating emails are now sent out to club members. However I rarely receive any reply or feedback from our members. Which can be disappointing especially if seeking ideas for future events etc?.The club has had a good year with two very well run shows that involved a lot of work from most of the members. For this club to continue and thrive into the next five years it will need to move need to be more modern in its approach. We have seen some new members this year. Attracted by the web site and other members. I believe that we most endeavor to keep these members by spending more time talking and enthusing about our hobby and less time worrying about rules and regulations which is a big turn off for younger members. New members want to see birds and talk about birds. Hopefully this years programme will go a way to address this. If I was to be perfectly honest I took on the role because no one else would. I would prefer not to do the role again next year. My wife and I are now both retired and we plan to travel around on a ad hoc basis. This will preclude me from attending some meetings. And will probably give the impression of lack of interest in the club that I do not want to portray that image. If no one else wants to step forward I will continue in the role as secretary. However there will have to be some caveats. I would suggest that a membership secretary be appointed who can perform this role when I am absent. I am happy to continue updating the web site but someone else will have to take notes and photographs that can be forwarded to me by email when I am absent. 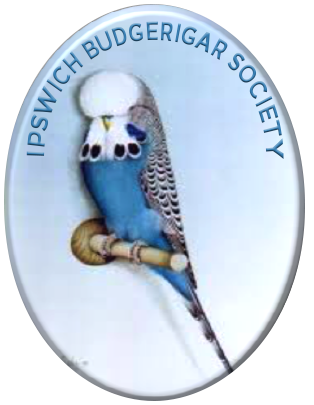 This was my first year as Patronage Secretary and so took a little time to get up to speed with the process but I can report that in 2017 we managed both the Patronages for the Ipswich BS Open Show as well as the Lincolnshire and East Anglia Specialist and Rare Variety Open Show. All patronages were submitted on time and although I had to chase one or two societies for their patronages all were received in good time for the respective shows. Regarding the Ipswich BS Open Show we submitted 11 patronages in total. This had a total cost to our Club of £88.98 including the cost of Patronage Returns. Regarding the Lincolnshire and East Anglia Specialist and Rare Variety Open Show we submitted 7 patronages at a total cost of £ 52.53 including the cost of Patronage Returns. I am happy to stand for the position of Patronage Secretary again for 2018 if elected by the members. We continue to receive support from the cage and aviary and I have thanked Laura Keens and Laura Welsh on the club s behalf. They never miss publishing details of our monthly meetings. They are sent to involve as many members as possible and to project the club in the best possible light and encourage new members to swell our ranks. Every club it seems have their problems but I don’t believe in putting dirty washing out in public. Prior to our shows, details are sent to Suffolk radio and the East Anglian. Some years their reposes are better than others. As always, I am willing to continue in this post if members wish. Although I can be prone to the occasional strop, I am not a resigner, that said if any one wished to stand for the post please go ahead, I will not be offended in any way. Sandra stated that they had had a very good Club BBQ and stock show. The club had also had a successful day out to tropical wings. The Christmas dinner had been a great success. Sandra thanked all the ladies who helped with the catering. The members who supported the monthly raffle was thanked. Vice Chairman – George Mcmillan. The matter was discussed and a majority decision made that the subscriptions would remain as per the previous year, £5 across the board. John Gibbens was nominated by Dave Rafis and voted unanimously as the Member of the year. The matter was discussed with Peter and Sandra who agreed to organise and hold the BBQ at their home address as per previous years. Peter Barber is to be approached to judge at the event. The distribution of the prize money for the 50th Open show was discussed. It was agreed that this decision would be deferred pending any sponsor ships. Trophy to be obtained for the yearly colour competition. – Bill stated that he had a spare trophy that can be used. Colour competition After discussion it was decided that the following prize money will be given for the Yearly colour competition as follows – £15 winner,£10 second for Champ/Int and Beg/Nov and £10 overall winner. Lapel club badges. Cost was to be in the region of £300. The members present felt this was too expensive so not agreed. Country wide sponsor ship of the Open show – Peter stated that it was likely that the company would provide 5 x bags of seed that could be used as prizes. the bank accounts and mutual show patronage with other clubs. Peter stated that any members that wanted to take part in “Peters Swindle were to contact him before the end of next week with their ring numbers. There was then a general discussion about various topics. The Chairman thanked the members for their attendance and attention and closed the meeting.